This is an ancient practice of the church in which you offering the peace of the Christ, the peace of the Holy Spirit to others around you, especially in way of warm welcome and recognition of their presence in worship with you. In the gospel of John, there are actually three distinct resurrection stories. Just prior to the scripture today, there is the story of the empty tomb and Jesus’ appearance to Mary Magdalene. Then we just read about Jesus’ first appearance to the disciples and following today’s reading is the story of Jesus’ appearance to the disciples again with Thomas present. Yet, as I read and reflected on this week’s scripture, I believe there is something huge in this second story that we often miss. The gospel of John refers to the disciples gathered in a general sense. We don’t know for sure that this was the ten disciples called by Jesus. We know that this was a gathered group of followers. I want you to imagine yourself in the shoes of the disciples for just a minute. If you are comfortable, take a moment and close your eyes. Imagine yourself as a disciple of Jesus. What is on your feet? What smells are you experiencing? You left everything you had to learn and follow this man called Jesus. You became an apprentice to this person who brought the message of God’s love in a radical way. Truly, he brought you closer to God. He spent time with you and was interested in who God made you to be. You learned how to heal the sick, protect the widows, and serve the poor. Everything you had learned from Jewish laws was challenged by a new way that put the needs of people first. You learned what it really meant to love other people around you. When Jesus fed over 5,000 people with just a few loaves and a few fish, you learned that you often set limits on God’s power that can really not be limited. And then you were with Jesus as the Jewish authorities started to feel threatened by the teachings of Jesus. How did you feel when the Pharisees and Saducees (the rulers of the Jewish law) started questioning Jesus and seemingly trying to trap him? Did you feel threatened as well? And then they plot to kill the one who has led you for so long? If they killed Jesus, would they come after you, too? Now, it is in the evening hours of the first day of the week. You are still digesting the events of the last few days. Mary had come earlier to share the news that Jesus was alive, after witnessing that Jesus was no longer contained in the tomb, she heard the words of the angels and then saw Jesus face to face. So you are still digesting this news. You gather with other disciples…people who can relate to what you are feeling and experiencing. And you are scared! You are scared of the Jewish authorities that had just killed your Savior. And now his body was missing. Would the authorities come after you? Of course, his closest friends and the ones that were to carry on his work must be responsible. Can you imagine the fear? The phrase peace be with you was a traditional greeting in Jewish culture. Yet here it is more than just a greeting. Jesus, in chapter 14 promises his disciples his peace. “Peace I leave with you; my peace I give to you.” In their grief, in their fear, in their inner struggle to comprehend what was happening, Jesus speaks peace. And peace is something that Jesus still speaks to us. Our family is pretty raw in grief over the loss of Jason’s father (Tom Williams). Some of you are in a similar place with situations in your own lives. 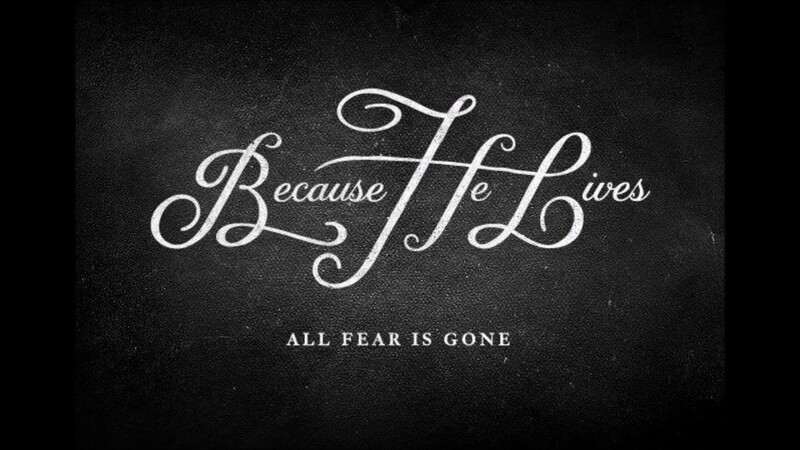 We are faced with fears about the present and the future without someone whom we relied on so much. And we are experiencing the inner struggle to comprehend the present without Tom and how to move forward. And yet Jesus speaks peace to us. So we are trying to pay attention to that peace. When Jason and I lived on the Westside of Charlotte, in a threatened, at-risk neighborhood, it was not unheard of to get knocks on the door in the middle of the night. And it could be any number of things. One night, in particular I will never forget. Somewhere between 1am and 2 am, we heard a knock on the door. The knocking got louder and louder until we answered it. On the other side of the door were two Charlotte-Mecklenburg police officers. They asked if we had heard gunshots or knew about anything that was going on? I said, “No, I didn’t hear gunshots. What happened?” One of the officers replied a teenager got shot. And that was basically the end of our conversation. The next morning, we learned that the teenager that was shot and killed was 13-year old Khalil. A young man with a beautiful smile that frequented the doors of our home. Our hearts were broken. We eventually learned that Khalil was out late with his 16 year old friend Damien. Some encounter happened between Damien and another person. And Khalil got caught in the cross-fire. Damien, in his fear, waved down a passing car for help and then ran home. The police found Damien that same night and arrested him for murder. We spent the next few days ministering to the other kids in our neighborhood. Helping them figure out what to do with their grief. We held a candlelight vigil and thought of ways to honor Khalil. Just a day or two after this shooting, I packed up the girls, who were only two and three years old at the time, in the double stroller and walked the four or five blocks over to Damien’s house where he lived with his grandmother. I took her some bread and spent some time talking with her. Her heart was also broken. She knew it was accident, but didn’t have any idea where to begin to process all that happened. After spending a half an hour or so with Damien’s grandmother, I got ready to head back home. And, as I did, two young men drive up and get out of their cars. With beautiful smiles, they bounced over to Damien’s grandmother and exclaimed, “Grandma!! !” And she fell into their arms weeping. The two older teenagers embraced her and held her. The presence of these two young men spoke peace to Damien’s grandmother in a way that I could not. Then I heard Grandma say, “I thought I would never see you again! !” You see, the two young men that were embracing Grandma were Khalil’s brothers. Her grandson had shot their brother. So you see, their presence and embrace that evening spoke peace in a a profound way in the midst of a situation filled with fear and grief. Jesus speaks to us in our fear. Jesus breaks through the fear and stands among us whispering to us, Peace. The biblical story continues as Jesus shows the disciples his hands and side and they rejoice as they recognize him as Jesus, their Savior. After they accept the presence of the Savior among them, Jesus offers them the greeting again: Peace be with you. And now they can fully accept it. After Jesus spoke the words peace be with you a second time, he continues with this: as the father sent me, so I send you. These are the very words he had prayed for his disciples before his death. Jesus offers peace to their situation and then sends them out from the place where they are hiding. He commissions them to continue the work that he began. I think it is very interesting that Jesus sends them on a journey, so to speak, in the midst of their grief. He encourages them to get out. To unlock the doors and move on. He offers them a way out of their fears and into healing. It has been said to me, recently, that a trip can be good for the soul. It can be good to get away. Think about it, a journey (or a trip or a vacation) does not replace a loved one. It did not replace Jesus for the disciples, nor does a journey diminish the heartache. A journey can, however, drive away fears and bring a new beginning or hope. Think about the journey Khalil’s brothers took to visit the grandmother on the man who shot their brother. Think about the peace that was offered that evening in that embrace. You see, the journey gives our grief and confusion purpose. Farmer and spiritual writer Wendell Berry reflects on the journey into peace. Listen carefully to these words from his poem.